Save pictures received from WhatsApp to USB SDcard. I am using WhatsApp on my laptop through Bluestacks. I have received pictures. How to copy those pictures to my USB/SDcard? 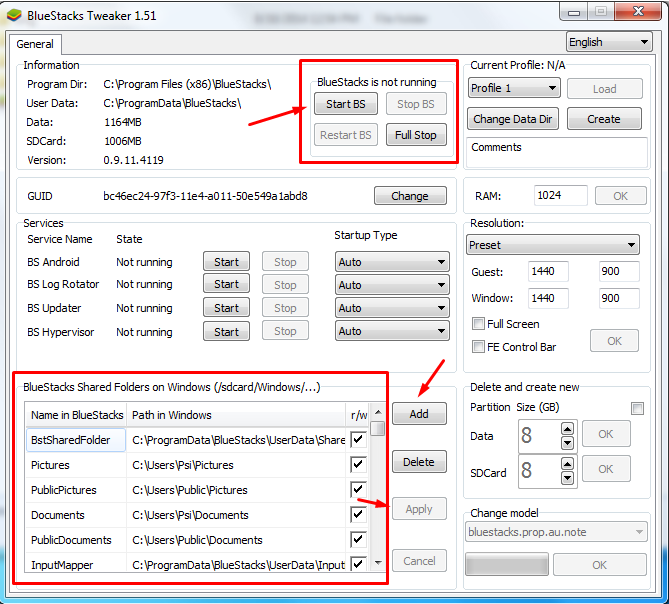 There is an application called BSTweaker that allows you to choose custom sharing folders. Browse to the XDA Developers and download it. Start Bluestacks and then start the application. After the application is started, locate the shared folders in the lower left section. Press on Add then choose a location on computer, and assign a name. The path will be displayed above the shared folders. In Bluestacks, copy the pictures to that path /sdcard/Windows/YOURFOLDER. After this process, the pictures will appear in the folder specified on your computer. Use the image below for guidance. Delete photos from WhatsApp gallery.